We’re currently looking to recruit a highly experienced BIM Delivery Manager / Coordinator to join our talented, motivated and hugely skilled BIM team and play an active part in the successful management and delivery of BIM projects ensuring quality and data compliance. We manage models and projects involving complex engagements with clients through concept to completion, often involving landmark buildings. In this role, you will have the opportunity to work with our leading experts and BIM visionaries – some of the brightest brains in the industry! You will have the opportunity to lead a team who have delivered in excess of 250 models in the last 12 months, servicing a diverse client base. Our recent successes included delivering the largest Revit model in the world, and this is only just the beginning of that project. You will have the opportunity to work with clients such as Parliamentary Estates Directorate (Strategic Estates) and Royal Household. Furthermore, you will support the development and growth of the Plowman Craven BIM Consultancy alongside the Head of BIM and BIM Manager. Our recent projects include Eton College, NHS Trust and several Universities. We also are involved in the digital transformation of the rail industry made possible through our unique industry leading UAV Technology. In this role, you will have the opportunity to enhance the growth of our BIM capabilities, support and influence the wider company aspirations. You will also help attract the very best talent to be a part of the companie's BIM Centre of Excellence and innovation. Our dedicated BIM Centre of Excellence embraces innovative workflow processes and technology enhancements that make us a distinguished industry leader in our field. Be passionate about the field of BIM and in turn, contribute towards the evolution of our BIM Centre of Excellence. Be responsible for leading and delivering landmark projects for our Tier 1 clients. Be a client facing representative of the business. Motivate the team and keep them energised. Lead and influence large authoring teams in building complex and cutting-edge models. Adapt and Support the wider business in a fast-moving environment. 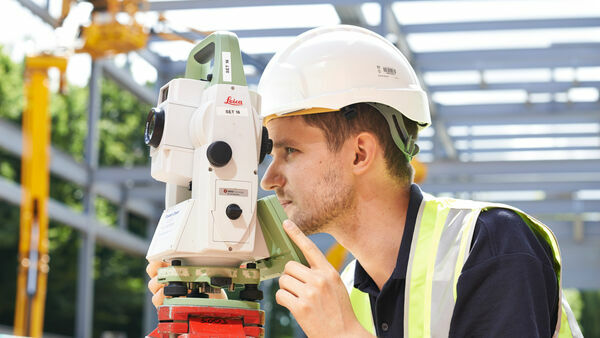 Liaise with Project Managers, Surveyors and rest of the BIM team to ensure the most appropriate workflows, techniques and software are utilised effectively. Fully committed to deliver high quality models that change the standards of modelling across the industry as well as maintaining company QA standards and consistency. Have the ability and willingness to learn the latest software and BIM workflows to maintain an industry leading deliverable. Play an influential role in technical sales; supporting the sales team in converting opportunities into projects; technical estimation of authoring tasks. Undertake all other reasonable tasks as requested. Excellent Communication Skills (Internal Comms and Client facing comms). Proven construction knowledge backed by an Architectural/ Engineering related degree or qualification. Strong Leadership and Team Management skills, capable of leading a team, working well under pressure whilst meeting deadlines. Client facing - ability to present, chair, assist, contribute and direct meetings. 5 years minimum of a collection of the following: Solibri Model checker, Navisworks, Revit and AECOSim. Delivering a variety of BIM Level 2 projects. Common Data Environment Setup, Management and Use. Excellent Collaboration and Communication skills are essential. Project Management skills would be advantageous. Demonstrate PCL character traits - Innovation, Creative, Passionate, Bold, Ambitious, Relentless, Trusted and Trailblazers.